Stove glass is the most frequently asked for spare part for a stove, whether it is multifuel or woodburning.. Often the glass on the stove has broken as the result of an accident: either something has hit the glass from the outside or the door of the stove has been closed, in the case of a woodburning stove; onto an oversize log, thus breaking the glass from the inside. Stove glass may also break if the clips that commonly hold the glass to the stove door are overly tightened. Even if the glass does not break at first, it may break when the stove heats up, because the door of the stove expands much more than the stove glass. Occasionally glass in stove doors may also be damaged by burning wood/fuel with impurities in it, irrespective of whether you own a multifuel stove or a woodburning stove. Because the firebox gets very hot, chemicals in the firebox can become very corrosive. Even the steel in the firebox is corroded at a relatively fast rate by normal combustion gases. Stove glass is not glass as we traditionally think of it, it is, in fact, Ceramic Glass. As it is manufactured from a ceramic see-through material that does not expand when exposed to the heat of the stove, Ceramic stove glass can generally withstand temperatures of up to 600 degrees C.
Often glass for a stove will be available as an off the shelf item, however not all stove manufacturers supply glass spares for all their stoves as some are discontinued. Stove glass bought from the stove manufacturer can often be very expensive. 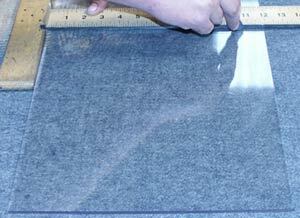 For a list of off the shelf stove glass panels that we can supply visit the stovespares.co.uk stove glass page. 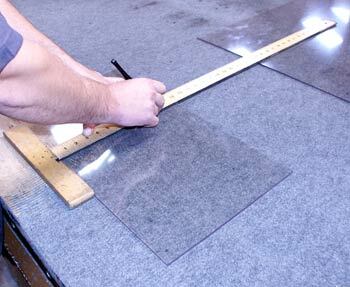 Although we are not , strictly speaking, stove glass manufacturers, we offer a bespoke cut stove glass service for multifuel and woodburning stoves, where you give us the measurements of the piece of stove glass that you need and we cut it to size for you. When manufacturing stove glass, we can only offer custom cut glass in square or rectangular pieces: we cannot custom cut stove glass with curved edges, stove glass in a funny shape, or curved and profiled stove glass.